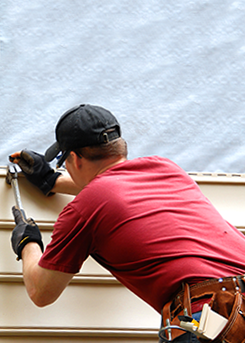 You can also count on us to deliver roofing materials, felt, insulation, drywall, and Ice-Guard™. Corrugated steel and accessories are available from McElroy Metals™, as well as ventilation products and 30' and 35' poles. At Jones-Berry Lumber Co. you'll find a wide range of name brand products at very competitive prices. Our size — not too big or small — allows us to control overhead and respond quickly to customers like you, and the unique project requirements you each have. Come to us for all your hardware needs, including paint, tools, and even plumbing and electrical solutions.